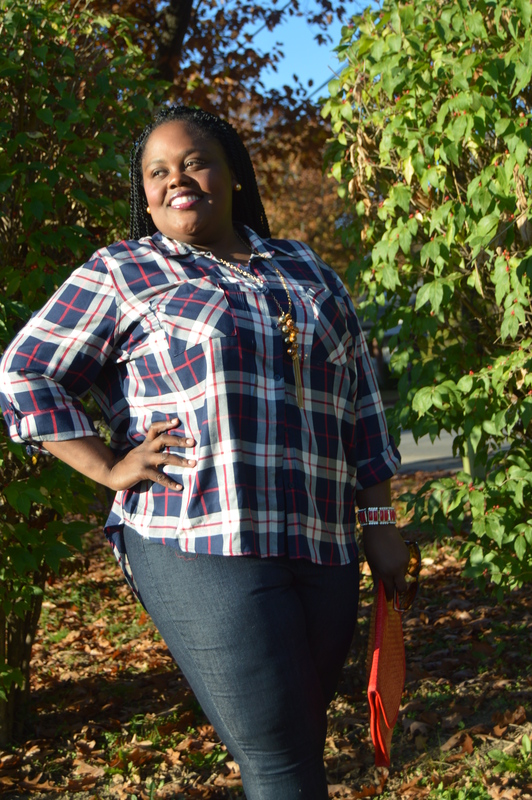 I have stated am not a big jeans “wearer,” but when I purchased this hi-low plaid top it was design to be worn with jeans and the new Charlotte Russe booties. I purchased this top from Burlington Coat Factory, it’s a 3x, and yes it’s a little big. I wanted to size up, so if I want to wear it with a belt or leggings or wear as a dress I can do so. 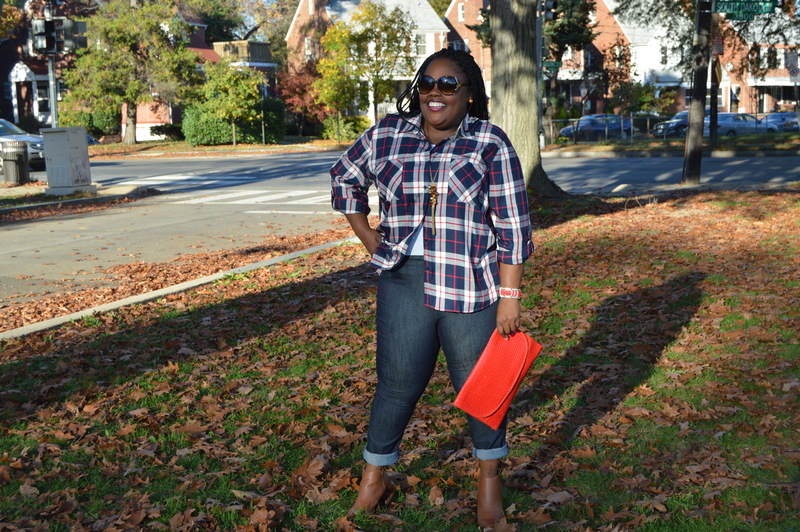 The plaid shirt are the American colors, thin, and can be worn in any season. 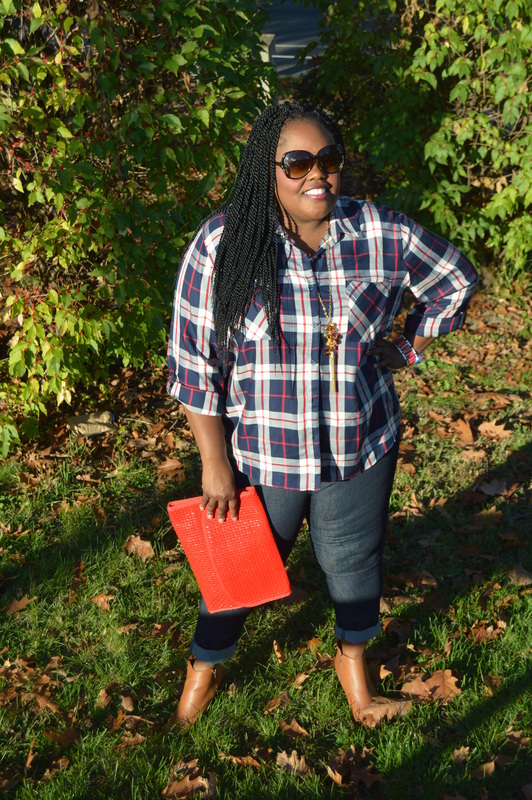 Yes, this plaid shirt will be featured very soon with a vest or leggings very soon. 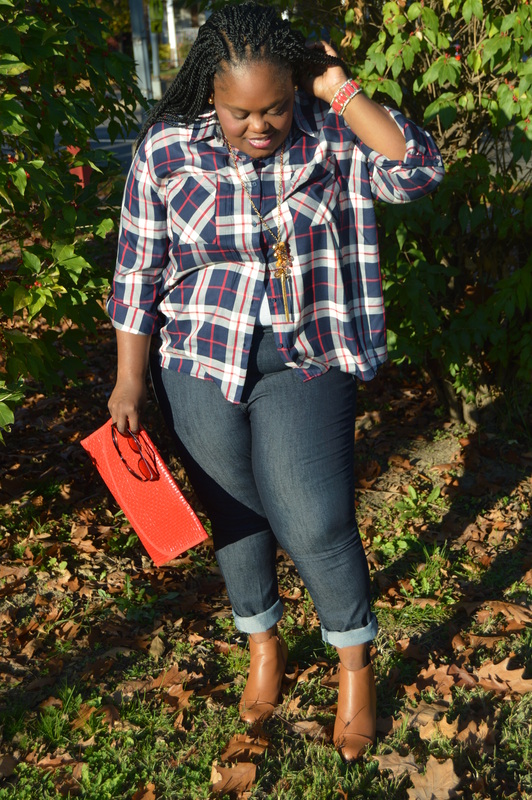 I paired the plaid hi-low top with boyfriend jeans and light red and gold accessories. 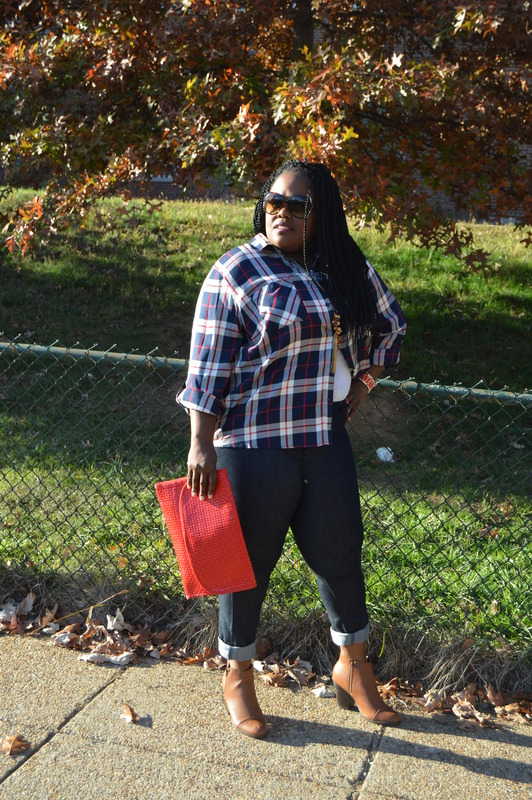 Am wearing Charlotte Russe side-zip chunky heel booties. 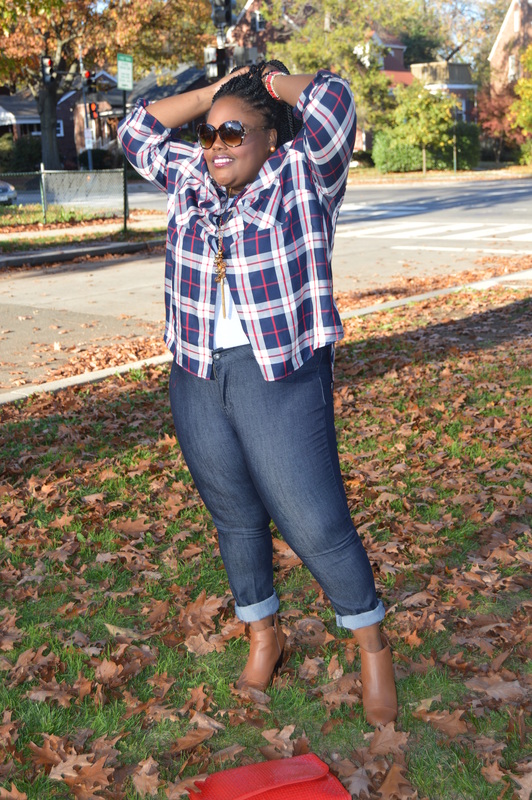 The booties made the outfit pop and perfect for the fall season. Very comfortable shoes.